At approximately three or four years of age, Isham, named after one of Buffalo Bill’s favorite horses, was struck by a car and taken to Talking Talons Youth Leadership in Tiejeras, New Mexico, for treatment. Unfortunately, he suffered such severe damage to his right eye that it had to be removed. With the loss of one eye, he no longer has depth perception, which makes catching small animals like mice, ground squirrels, and snakes very difficult. This disability also leaves him completely blind on his right side, making him an easy target to other predators. Because he could not be returned to the wild and he had a great disposition, the Talking Talons staff decided to train him as an education bird. He helped teach the public about birds of prey for five years at Talking Talons, until the group had to reorganize and needed to reduce the number of animals they cared for. While they were very sad to see Isham leave, we couldn’t be happier to receive such a wonderful bird for our program. 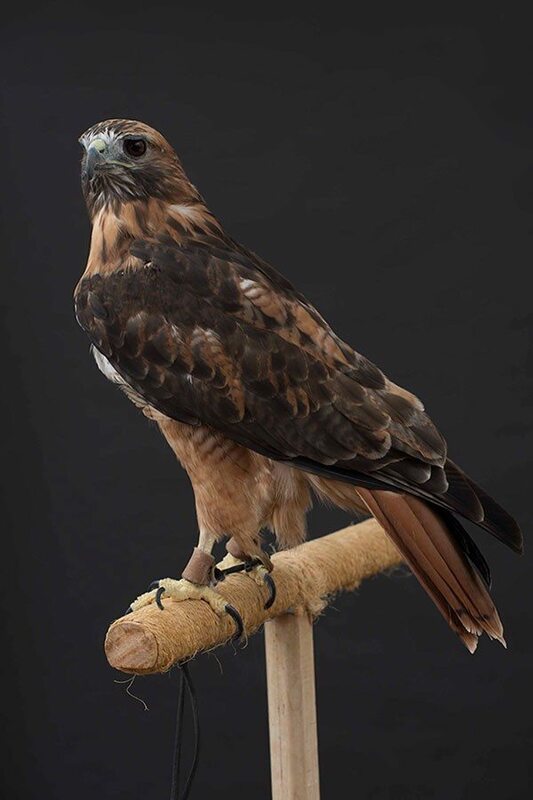 The red-tailed hawk is the most common hawk species in North America. The birds are found in almost every environment from Alaska to Central America, and have no problem living right alongside humans. 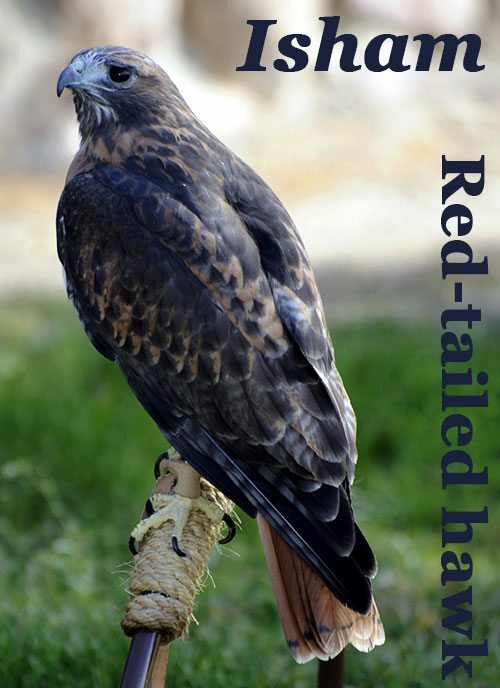 In fact, a very famous red-tail, “Pale Male,” has made New York City and Central Park his home for several years.